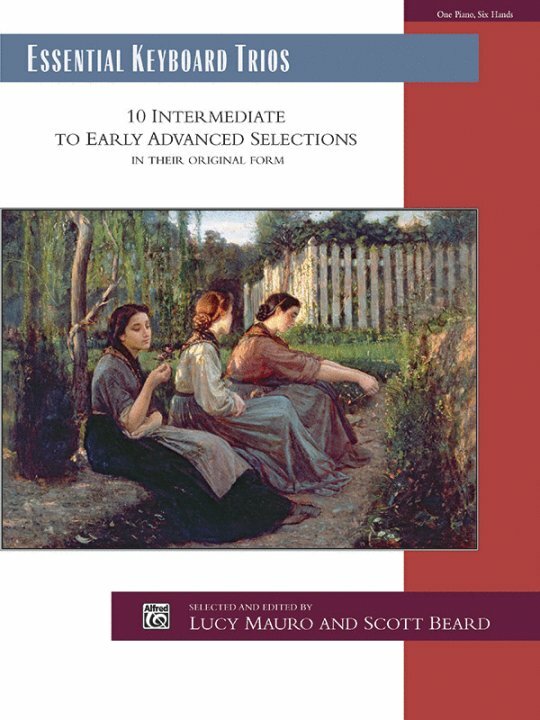 Keyboard trios (three pianists at one keyboard) are not only an enjoyable form of ensemble music, but are also indispensable tools in developing rhythm, dynamics, tempo consistency, and group musicianship skills in any pianist. The original works of W. F. Bach, Fodor, Gurlitt, Handel, Mozart, Rachmaninoff, and Streabogg are included, in score format (with all three parts on the same page), along with essential performance notes and helpful editorial fingerings and footnotes. Titles: Das Dreyblatt (Bach, Wilhelm Friedrich Ernst) * Sonata for Six Hands, Op. 10 (Fodor, Carolus Antonius) * Capriccietta, Op. 192, No. 3 (Gurlitt, Cornelius) * Gavotta, Op. 192, No. 2 (Gurlitt, Cornelius) * Impromptu, Op. 192, No. 6 (Gurlitt, Cornelius) * Hallelujah Chorus from Messiah (Handel, George Frideric, arr. Czerny) Overture from The Marriage of Figaro (Mozart, Wolfgang Amadeus, arr. Czerny) * Valse (Rachmaninoff, Sergei) * Romance (Rachmaninoff, Sergei) * Bolero (Streabbog, Jean Louis). The comb binding creates a lay-flat book that is perfect for study and performance. All of the titles are Federation Festivals 2016-2020 selections.